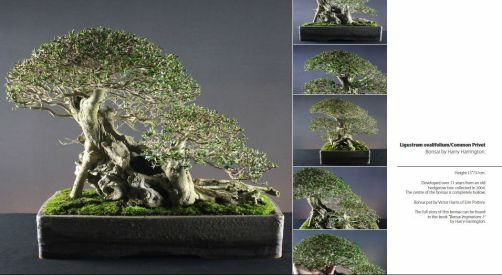 It is well known amongst the bonsai fraternity that young trees require growing on to develop trunks with the characteristics necessary for use a bonsai. Accelerating the growth of young trees helps build thick trunks and good root spread (nebari) prior to planting the tree into a bonsai pot for refinement. The simplest and most commonly used method of trunk thickening is to plant the tree in the ground for a number of years. Unrestricted rootgrowth in a large area of soil helps promote the strong and vigorous top growth that in turn thickens the trunk. There are times that growing on in the ground cannot be carried out for a number of reasons. Available land is not always available and some species require frost protection during the Winter and there is a need to be able to move them from their Summer position. The simple solution would seem to be to develop the tree in a pot. Though speed of growth is reduced in comparison to field growing; good results can still be achieved this way. However, the size of the pot used for growing on has a major influence that determines the speed at which the tree grows. A severely rootbound tree is one that's roots have filled the pot to the extent that it has little or no soil for new roots to grow into; it will survive and issue new leaves in Spring but barely develop new shoots. This lack of growth will make trunk development and thickening non-existent. This situation is remedied and can be avoided by ensuring the plant is in a pot with sufficient room to extend its roots. (A developed bonsai will of course be rootpruned so it can be kept in a small pot whilst still having fresh soil introduced). The fear that growth will be slowed in a small pot leads many bonsai enthusiasts to overpot and advise overpotting. Many times I have seen and heard a well-meaning enthusiast advise planting a young tree into as large a pot as possible "to speed growth". Unfortunately planting a tree into too large a pot/overpotting is as detrimental to vigorous growth as underpotting and leaving a tree rootbound. It has to be understood that planting a tree into a large pot is not the same as planting into the ground. The following is an excerpt from a thread on the The BonsaiSite forums and is the best explanation of under/over potting issues I have seen. Nurseryman Brent Walston of Evergreen Gardenworks explains some of the reasons for regular potting on as opposed to overpotting. "Back to the physics for a moment. Water will drain from a pot until the lowest level of saturated soil (that can be supported) is reached. At this point drainage stops and this saturated layer remains saturated, no more water will drain out (ever). The height of this column of soil depends on the nature of the mix. A coarser soil will have a lower (shallow) column or layer of saturated soil than a finer mix. The total retained amount of water is less for a coarser soil. Water can be removed from this saturated layer. It can be removed by evaporation (the water will be wicked upward as water evaporates from the surface), or it can be wicked out by the absorption of water by the roots (powered by foliage transpiration)." "If the plant is not root established, it cannot remove very much water by transpiration. This leaves too much water in the lower levels of the soil. In the short run, this is not much of a problem." "However, and this is where the problem is, IF the pot is so large that the saturated level cannot be removed by normal root colonization, then problems begin."